In some ways, being a first-time buyer is easier than being already on the property ladder. Sure, everything is unfamiliar to the newbie, and there’s a lot of complex information and legal paperwork to understand, but, they do have the advantage of being able to move quickly. Not being part of a chain, once first-time buyers see somewhere they like, they can put in an offer and start the ball rolling. This can make them a more attractive prospect to the owner of the house. 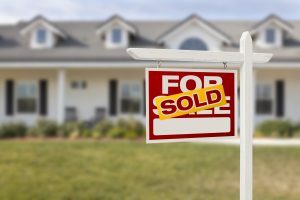 It’s not that simple for those who also have their home to sell. They have to deal with two separate property transactions, which may or may not run in sync with each other. In this case, it’s even more vital to have a mortgage solicitor in London who is understanding, flexible, and keeps in constant communication with their clients about what is happening with each part of the process. Experienced firms in the capital, such as Saracens Solicitors, are well-versed at providing this type of support to their residential property clients. As far as the selling end of the transaction goes, the role of the mortgage solicitor in London begins once the sellers have a firm offer on their home. At this point, they instruct a mortgage solicitor in London, who will send them the necessary paperwork to get the process underway. a list of fixture and fittings that will be left in the property once it is vacated. Once the sale is complete, the mortgage solicitor in London will take care of the finances, including settling mortgages, sending any required funds to estate agents and sending funds from the sale to the seller. Hopefully, by this point, the seller will have gone through the other side of the process and bought their new house, ready to move to their next home.